So 2017 has not been a great year for this blog, clearly. I've been scarce on Twitter, too. It really is a different world than it was a year ago. If it hadn't been for the Rust City conference, I probably wouldn't have posted since May. It's hard to pin down exactly why--there's no one reason. Family, career, and current events have been consuming a lot of energy lately, and while I've still been reading (you only have to worry about me if I'm NOT reading), I don't seem to have much left for blogging or engaging in the online book/romance community. Why today? What changed? I dunno, but I'm glad for it! Maybe it's because I just passed up my ten-year 'bloggiversary'... I know, I can't believe it either. But hey, here I am with three cups of coffee on a Sunday and I have the time, the inclination, and the words under my fingers to blog, so let's do this thing. What's new? Well, quite a bit, actually! Shoot, I really should have done this a long time ago. I always have fun at conferences and Rust City was no exception. As much as I love online interaction, it's great to really connect with book-lovers in person. I made some new friends, connected with old ones, and also touched base with my mother-in-law, so I get good-person points for that. Also, I really love the Five Words stories. I'm thinking about running a game or two in 2018 that won't be tied to a conference. And glancing over the blog, I realize that I never posted the Stunning Conclusion to our Immortal Hunters story, so I'll put together a couple of posts to finish off both of those, so you can read them beginning to end without jumping through a bunch of links. Speaking of Rust City, that's where I met Tamara Ford, host of the Shelf Addiction blog and podcast. She also came out to Casey's Reading Until Dawn conference last June where we further cemented our commitment to books and alcohol. One thing led to another and now I'm involved in a three-way with her and Casey. Um. Three-person podcast series, that is. The "Three Bloggers One Series" is Tamara's brainchild, and I was super-flattered to be invited along when their original third person had to drop out. 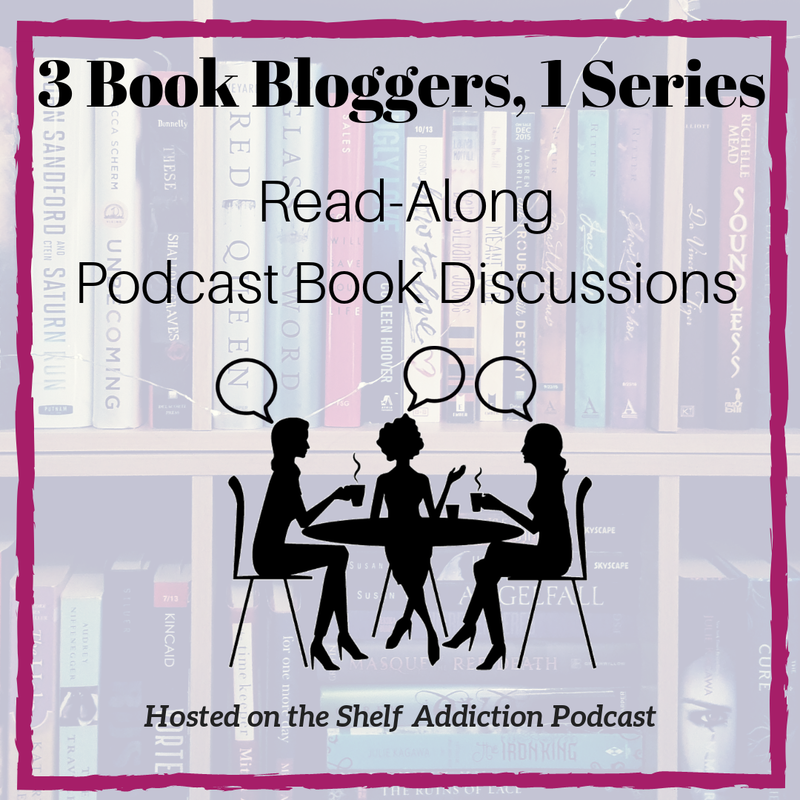 If you love book-related podcasts, check it out--look for the hashtag #3Bloggers1Series. 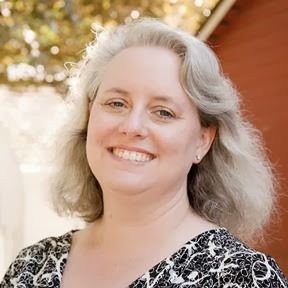 At this point, we're almost finished with Patricia Briggs' Mercy Thomson series, but you can listen to all the episodes from that link. If you want to jump on the bandwagon for the next series (and you should! It's a really fun wagon with a great band... or something like that?) then click on over to this short and sweet rundown of the two series we are considering for our next read-along, and give us a vote! Just about a year ago, I posted a review of Circling the Sun, which is way outside my normal type of book, as chosen by the workplace bookclub I joined. We choose a different genre every month (I made them put Romance in the rotation!) Since then we've read Path of the Fury, In a Dark, Dark Wood; SevenEves; The Bollywood Bride; 11-22-63; As I Lay Dying; Good as Gone, and most recently, The Eyre Affair. I feel like I deserve adulting stickers for keeping up. I typically do 2-4 reviews per month at the RT Book Reviews site, mostly in contemporary. 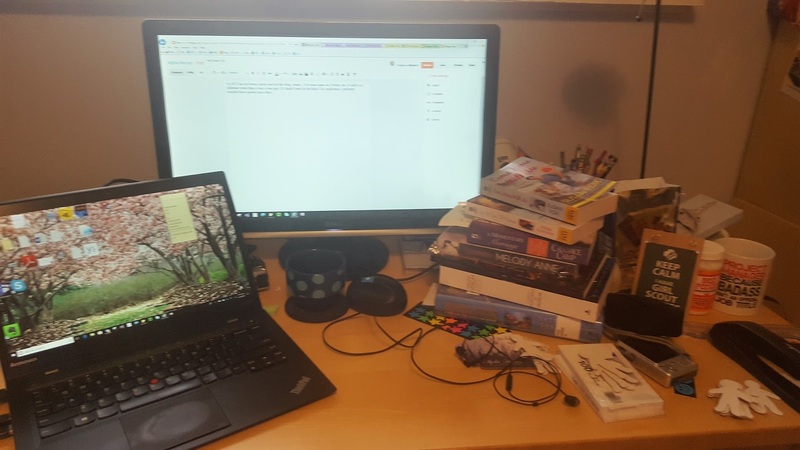 If you really want to find my stuff specifically, you can find most of them by searching on my last name, Onychuk (good thing I'm not a Smith or Johnson or Roberts...) I will occasional tweet some real-time reactions to these and other books with the hashtag #amreading or #reviewerlife. I read 6 or 8 books a month, and it's been a while since I've posted, sooooooooooo this could get really long. But generally it appears that I'm deep in a paranormal groove this year, because some of the series I've been loving on are: Jeffe Kennedy's Uncharted Realms as well as the Sorcerous Moons series; a long-overdue summer binge on Jeaniene Frost's Night Huntress series; Nalini Singh's Psy-Changeling entry for the year of course; a fun new series from Kathy Lyons called "Stone Men;" and a recent fave, the Irin Chronicles from Elizabeth Hunter. Oh, and did I mention Ann Aguirre's Ars Numina series? She started it off and hooked me and now she's off on some other series, boo. But the two that are out are amazing. In contemporary I'm fangirling all over Julie Anne Long as always, and Alisha Rai; and then I've fallen hard for Kerrigan Byrne on the historical side. In short, I have no lack of great reading. I owe reviews for a few of these mentioned, and others; I hope to get a few of those posted at a more-than-6-months frequency too. If any of the titles or authors I've mentioned have you really wanting a review, leave me a comment and I'll see what I can do! I feel like no blog post is really complete without some sort of image. Since this post is kind of a hodgepodge of what I've got going on, here's a visual -- my desktop this morning. The pile of books is a tiny bit staged but everything else is just how things are -- girl scouts and books and crafts and chocolate and coffee and the internet and earbuds for this morning's podcast and... well, lots of stuff. IDK why the light is so weird but that's the best it's gonna get today.